What could be more comfortable than wearing your favorite t-shirt? 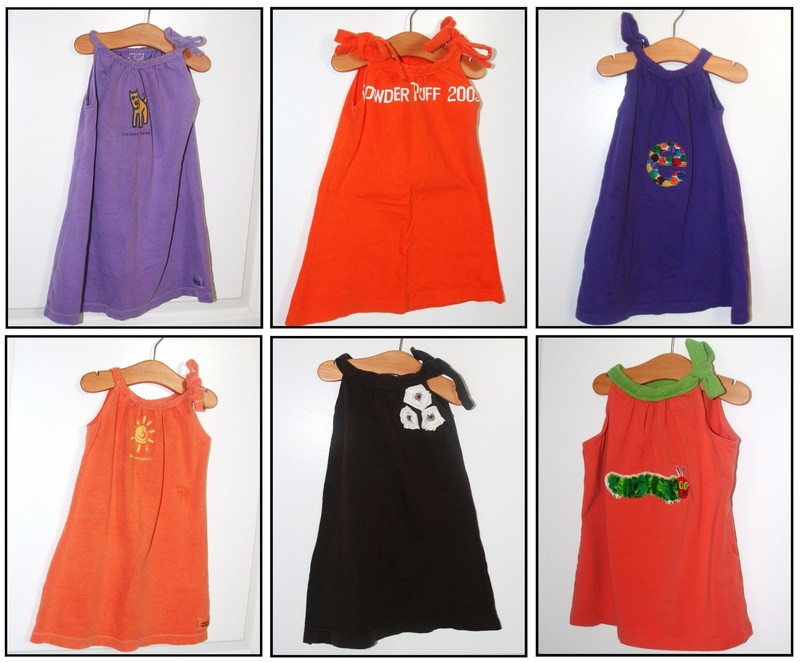 How about a dress made out of your favorite t-shirt! I found this fabulous tutorial by MADE and was excited to start sewing the dresses for EJ. I made a quick trip to my favorite thrift store and picked up a range of colorful t-shirts (I seemed drawn to orange). At 89 cents each they were a great deal. 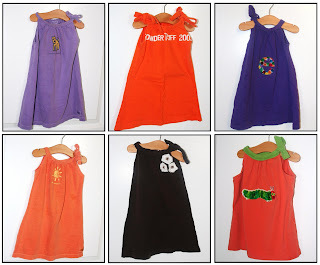 The dresses are quick and easy to make. Once you get the hang of the cutting and sewing, they can be made in under thirty mintues.